While the theme of this blog is QRP the folks who do QRP only may be missing out on some of the radio fun. One example: Twenty-five years ago Pitcairn Island was on the air. I didn’t have enough power, nor did I have the antenna and I – Scott/N7NET – missed a golden opportunity to hang the QSL card sent by Fletcher Christensen’s granddaughter. This page is devoted to Mike/KI8R. 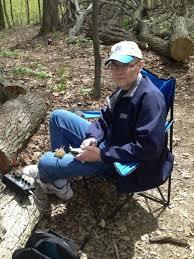 I have been blessed to be involved continuously in the Amateur Radio hobby for the last 35 plus years. I was originally licensed at 16 years old. Soon after receiving my license, I purchased a Kenwood TS-830S, and the rest was history. I enjoy CW, Contesting, Chasing DX and an even a little QRP from time to time. Occasionally I will turn on the local DSTAR repeater or fire up the PSK 31 interface. While I enjoy chasing DX and adding to my country total, my first love is CW. I am married and am the father of four boys. I live near Lancaster Ohio with my wife Kristen (KA8YCO). 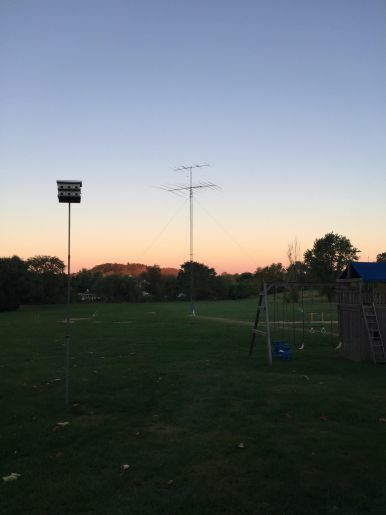 We live on 3 acres of antenna nirvana. No antenna restrictions. While my family keeps me busy, I still find time to get on the air several of times a week, either from the Van or from the shack. Mike has posted a host of photos at http://www.ki8r.com showing the progressive build of his KX3. I’m taking the KX3 to St Lucia next month. I’ll have a new post with lots of pics when I get back. Also just ordered the matching amp for the KX3. Will probably do a page for that build as well.